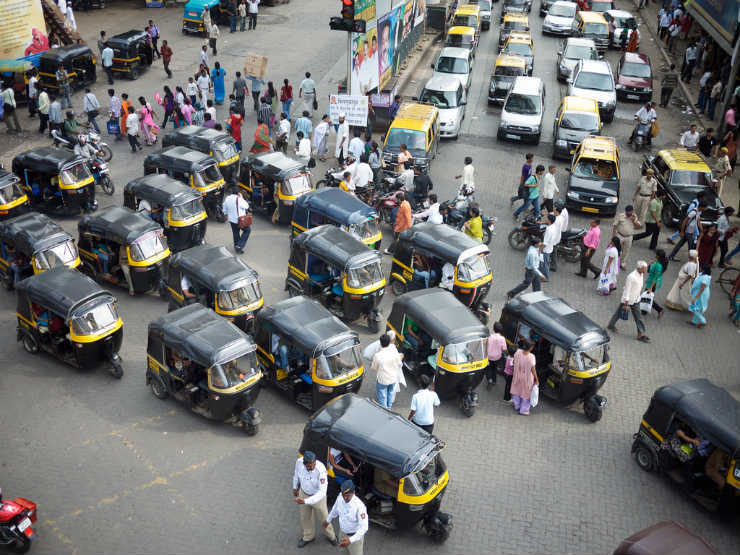 The Indian traffic and motor vehicle rules evolve constantly with additions of new rules while suspending some of the older ones. The most recent of them being the decision making any change in the vehicle as illegal. Apart from this, there have been many new additions to the list of offences under the Motor Vehicle Act in the past year. Here are as many as ten new ways in which you can lose your driving license. While playing music or getting a good music system installed on the vehicle is not a crime in itself, playing excessively loud music and is illegal and can get you fined by the traffic police. There isn’t much clarification upon the exact volume levels but the traffic cops can issue a challan as per their discretion. The amount of minimum challan is Rs. 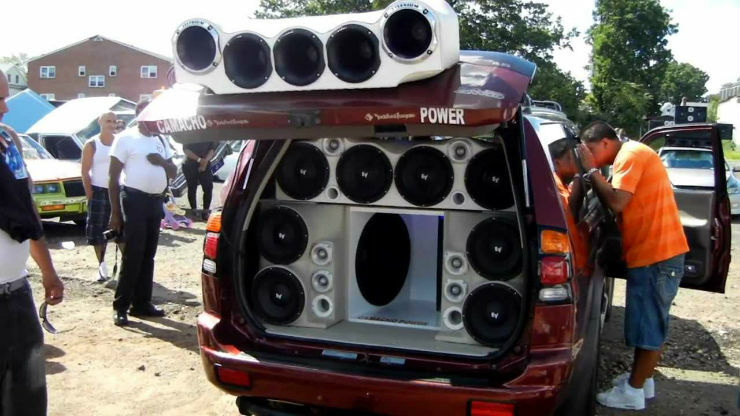 100 but that can be increased if the cop feels that the volume of the loud music imposes a threat to other road users. The driving license of the driver too could be seized. Areas and roads near a school or university are among the sensitive road areas where a vehicle is not allowed to drive fast. 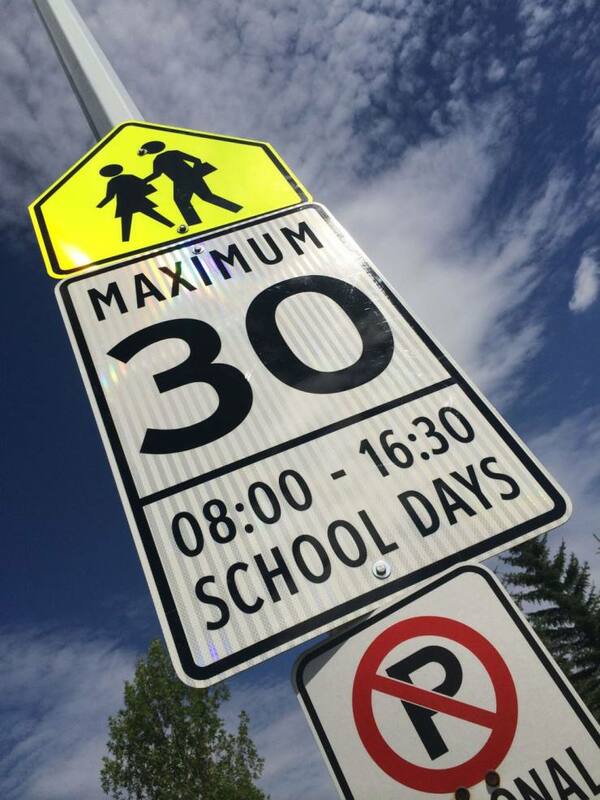 Most of the times, a speed sign with school hours is mounted on the roads but even if that’s not the case, make sure that you don’t drive at anything more than 25 km/h. Failing to do so can result in fine and/or seizure of your driving license. Using a phone while driving is illegal and if a cop sees you using your phone while driving, he can slap a fine on you. 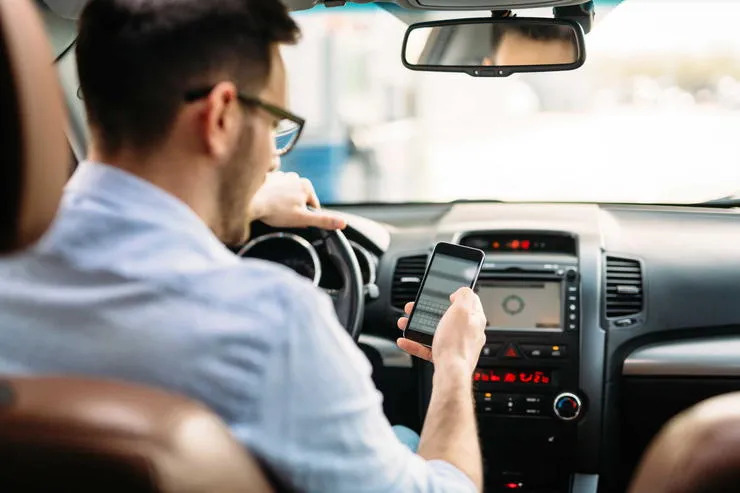 According to the laws, a driver can’t use the mobile phone for anything except navigation services. Phone usage on the go means less focus on the road which in turn could lead to an accident, and hence, the law. Though almost all car manufacturers offer this feature on their cars now but it’s still illegal to talk on the phone while driving, even through Bluetooth. Basically, the usage of a mobile phone to talk in any form while driving a car is a traffic offence and can land you in trouble. 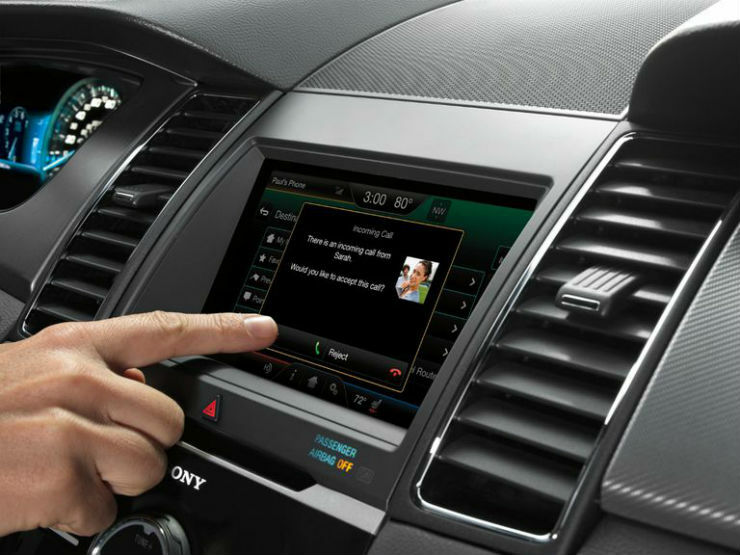 Even if your vehicle comes equipped with the Bluetooth feature, it’s best to pull over and complete the phone call. If caught by a cop for the same, he can fine you and even seize your license. There are millions of people who don’t use a vehicle to commute. They commute by walking on the road as pedestrians. 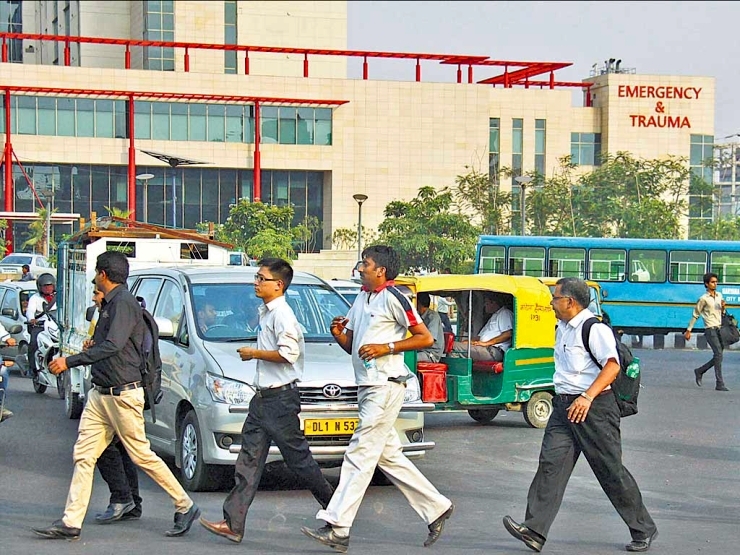 Now, the zebra crossings are marked on the road to help the pedestrians cross the road easily. It’s really important for a car driver to stop before the zebra crossing. You can be fined in case a traffic cop catches you blocking the pedestrian crossing at a stop light. Even your driving license can be suspended for the next few months. A footpath is intended to be used as its name clearly indicates. 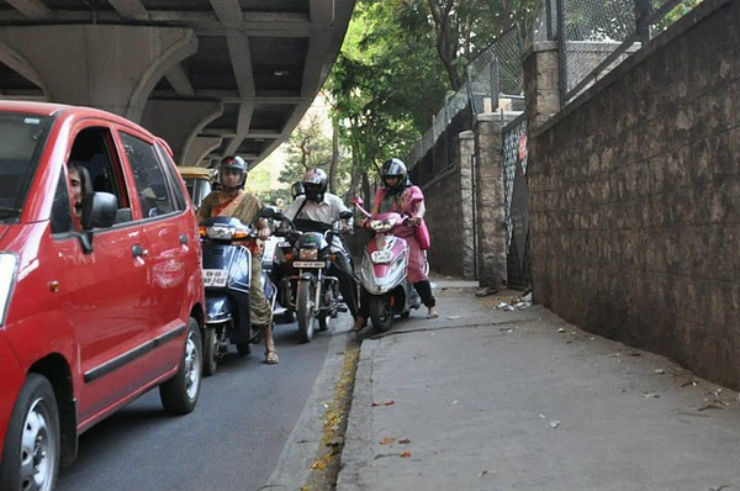 Two-wheeler drivers are often found riding on footpaths to avoid traffic. This not only poses a threat to fellow pedestrians who use footpath for walking but also, in a way, encourages other motorists to do the same. Obviously, the footpath is meant for pedestrians and not for motorists and this too can get your license being revoked. Our roads are already heavy with noise pollution due to excessive horn usage and pressure horns cause further trouble. Also, they can startle other road users. Therefore, the use of pressure horns is banned across the country. Moreover, they make your vehicle illegal too as it is a type of modification that is not allowed to be fitted on any regular permit road-going vehicle. If caught, your license can be seized and a heavy fine can be imposed. 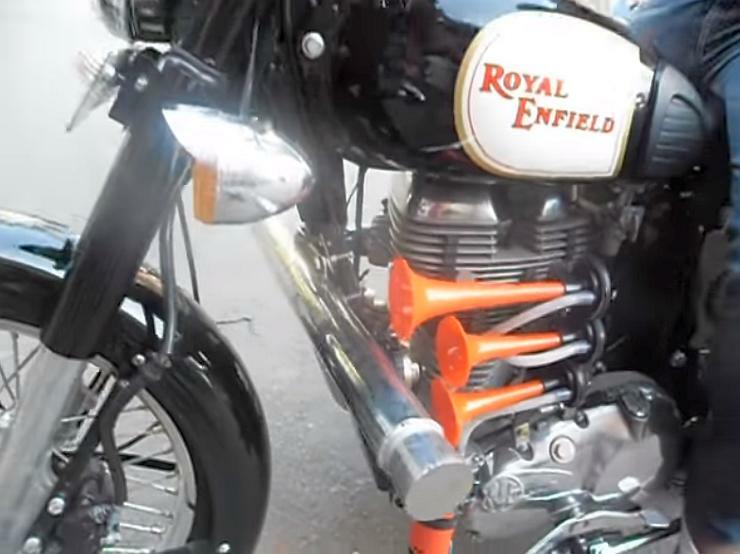 Apart from pressure horns, multi-toned horns are also not allowed. 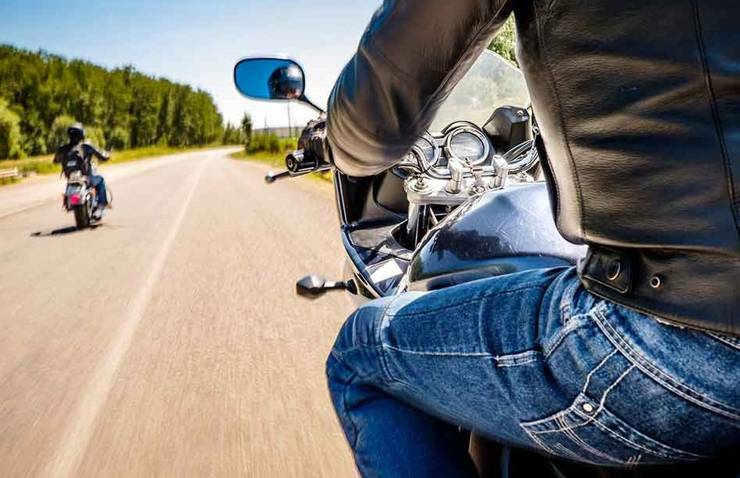 Lane splitting and trying to squeeze between the spaces is considered by many to be a thing of expertise. However, it can land you with a fine or even a license confiscation if you are found doing the same at high-speed zones. Cutting through the lanes is only allowed on sections of the road that have a speed limit of 40 kmph. Therefore, keep the speed limit of the area in mind before making a lane cut manoeuvre. This is something that is illegal both morally and by law. Racing is something that should be restricted to private roads and racetracks. While testing the limits of your vehicle is a tempting idea for sure, it can lead to a strict action being taken against you. If you are found racing and indulging in related activities, you can end up losing your license.